Buy Local’s mission is to support locally owned and operated, independent businesses in the greater Savannah area, to maintain our unique community character, provide continuing opportunities for entrepreneurs, build our community economic strength, and prevent the displacement of community-based businesses by national and global entities. The proliferation of big-box stores in America is well-documented. Operating on the premise that price is the consuming consideration among buyers, they have often turned to offshore sourcing and lower product quality standards as the means to minimize sticker prices. • Loss of the human touch. Such issues account for the continuing demand for knowledgeable, enthusiastic, locally based product and service providers. In Savannah, a number of these have banded together under the banner of Buy Local to ensure that local consumers are aware that concern and competency are alive and well within Savannah’s locally owned enterprises. Formed in 1999, the organization now comprises some 150 businesses who call Savannah home. Both their revenues and expenditures remain within the local economy multiplying four to seven times for each transaction. Their profit and payrolls never exit the area destined for corporate coffers elsewhere. Instead, they go directly towards fueling the Savannah economic engine. Buy Local Savannah is all about education. First and foremost, educating the buying public to the availability of competitive, enthusiastic service from local providers. Secondly, meeting monthly to learn about the opportunities and issues inherent in operating a locally based firm. From federal and state government officials to business gurus to marketing specialists, a diverse lineup of speakers have made their way to the Buy Local podium eager to exchange ideas and success strategies with local entrepreneurs. The membership cross-section demonstrates that there is a local niche for virtually any type of enterprise. Member firms range in size from sole proprietorships to companies with hundreds of employees. Three Savannah businessmen first conceived of this coordinated local buying thrust in 1999. Rick Culbreth of Yates-Astro, Remer Lane of Remer Lane Insurance and Martin Sullivan of Sullivan Staffing agreed that Association of local firms should mount a comprehensive campaign to encourage to shoppers to buy from local businesses. From these modest beginnings, the organization has grown to be recognized as Savannah’s leading advocacy group for locally-owned enterprise. Buy Local’s success signals clearly that cost and quality conscious consumers are well aware of the advantages available from locally-owned enterprises. Their grasp of local market conditions is comprehensive. Both the owners and employees of such firms are prime candidates for reciprocal purchases from their area counterparts. When circumstances dictate the need for communication with ownership, they are readily accessible and never more than minutes away. All traits which are simply unavailable from national chains. 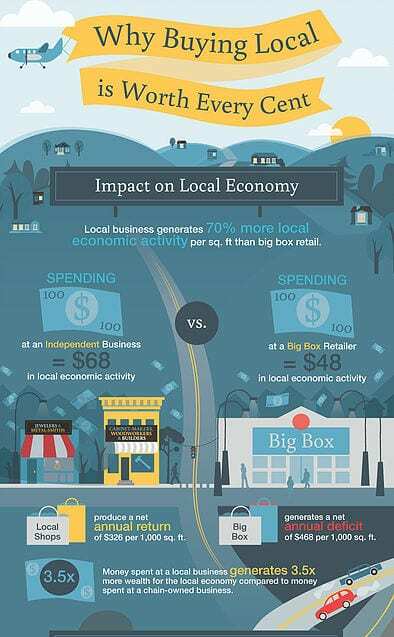 Community advocacy, access to support, selection, price and convenience… all compelling reasons why the Buy Local philosophy continues to make sound economic sense. Formed in 1999, Buy Local Savannah now comprises some 150 businesses who call Savannah home. Both their revenues and expenditures remain within the local economy multiplying four to seven times for each transaction.